Sean Young was placed under citizen's arrest. Sean Young at the Montblanc pre-Oscar brunch in Bel Air—one day before she was placed under citizen's arrest. 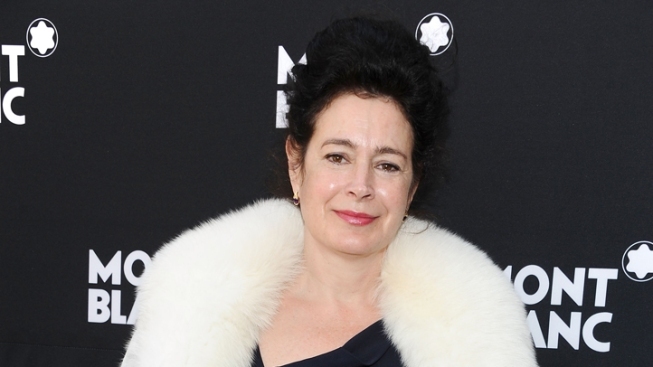 Los Angeles police say actress Sean Young — best known for her role in the 1982 cult classic "Blade Runner" — was placed under citizen's arrest after a scuffle at the post-Oscars Governor's Ball. According to the Associated Press, the 52-year-old was involved in an altercation with a security guard at the high profile event. Young was reportedly arrested at 9:25 p.m. Sunday and later booked at the Hollywood police station. An investigation of misdemeanor battery is pending. City News Service reports that Young posted $20,000 bail and was released Monday morning. Young's screen credits also include a co-starring role in "No Way Out" and supporting performances in "Dune," "Wall Street," and "Ace Ventura: Pet Detective."